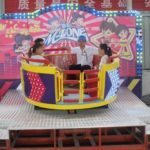 Tagada or the Tagada Disco amusement park ride is a true classic among carnival goers and theme park ride enthusiasts. 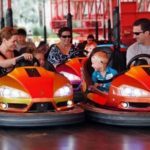 It attracts the attention of young and the young at heart, making for one fun ride no one can forget! 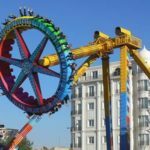 The ride itself can be purchased from a number of worldwide manufacturers, and each company puts their own personal spin on this thrilling ride. 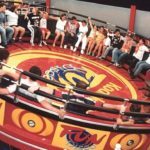 The basic idea of the ride is this: there is a round bowl that contains seated riders, and the riders will spin and bounce around without any restraints. 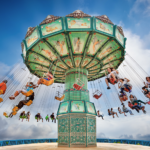 Riders can opt to stand in the middle of the ride or take a seat located around the ride. Though there are no actual restraints in the ride, but bars are installed on the outer rim as an additional safety measure. During the ride, there is music playing, hence the name of Tagada Disco. -Giving time for riders to find a seat (not all operators do this). -Operators may trick riders into thinking that the ride is over, but the gates can’t be opened. The operator will then restart the ride, and the riders fall in an attempt to scramble to their seats. 1. You can seat a large number of people in just one ride ranging anywhere from 20 to 40. Most manufacturers are willing to create a custom ride that fits the number of people you require. 2. 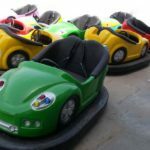 The ride is very easy to install and foolproof to operate. There is little guesswork involved in creating the perfect environment for riders. 3. 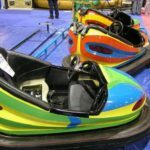 Operators can make thrill seekers happy as the ride has adjustable speeds that can be cranked from high to low or vice versa, not to mention the additional bounce! 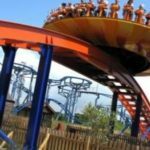 The upfront costs of purchasing this ride are easily offset by the admission fees you can charge riders. Since the ride can seat up to 40 people, the operational costs are significantly lower than that of other rides.